As a food photographer and stylist the quality and look of a kitchen worktop is also super important. That’s because food photography images can only look their best if the backdrop (in this case the kitchen worktop ;)) looks the part. 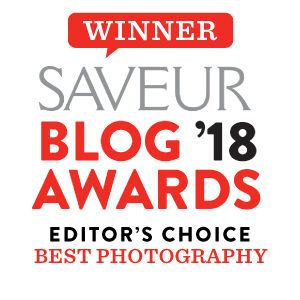 In fact if you read this blog post, this one and this one you'll know how incredibly important surfaces are in food photography and food styling. Consequently, it’s an utter joy to be teaming up once again with the people behind SapienStone. They produce the most AMAZING porcelain countertop surface ever which I was allowed to try out in this, our second cooking and food photography collaboration. So what can I tell you about the worktops? I loved the light and bright SapienStone Calacatta worktop surface I got to shoot on in our last collaboration (you can see the images here), but I was just as excited to explore their darker stone range, not only to ensure that it too is scratch resistant ;), but also because I was curious how it would look. The result of my exploration can be seen here today; I had the opportunity to use their Brown Earth porcelain work surface and loved the textured feel and elegant look as well as its usability. The worktop was so sturdy, it allowed me to prep this vegan poached pear recipe for you directly on the worktop itself, without needing to use a chopping board. Tidying up was easy and stress-free as the worktop is cleaning product resistant. Furthermore, the Sapienstone work surface I used looked so good, I felt pretty proud showing off my creation in today’s blog post. But what good is looking at food if you can’t taste it? Hence I’ve put the recipe for these super EASY poached pears and caramelised nuts into this blog post. Please just scroll down and you’ll find all you need. P.S. Want to find out more about how to get your hands on this worktop? Then please check out SapienStone here. Thanks for stopping by everyone and see you all next week! This dessert is SO easy to make and smells and tastes like Christmas! It’s vegan, pretty and utterly delicious too. The hibiscus gives the pears their gorgeous colour. Hibiscus can be easy bought online or found in most health food stores. It’s not cheap but please know, a little goes a long way. Pour the lemon juice over the cut pears to stop them oxidising. Then place all the other ingredients for the poached pears into a medium sized, shallow pot over a medium heat. Put the pears into the pot with the cut side face down. All pears should fit into the pot, if they don’t see if you can find a slightly wider pot. The juice should cover about half the pear as in this recipe, we’re only showing off the top side ;) (see TIPS for other serving suggestions). Cook over a medium heat for about 40 minutes, letting the juice reduce and the flavours intensify. Whilst the pears are poaching, prepared the caramelised nuts but placing all ingredients into a non-stick pan over a medium heat. Let the mixture bubble and reduce for about 5-10 minutes. One done, place the caramelised nuts onto a baking tray with non-stick, grease proof paper and let it cool. Once the pear is done, serve warm with the caramelised nuts, a dollop of yoghurt and enjoy! Tip 1: I left the skin, but to make this dessert look extra elegant, you can peel off the skin. Do so carefully so that the pear looks even, without noticeable bumps. Peeling the pear means that you will need to turn the pear every so often whilst it’s poaching, so that it is beautiful and pink on all sides. Tip 2: This recipe will work well with pretty much any pear variety. I would recommend you go with a firm, rather than a very ripe pear, so that it holds its shape during the cooking process. NEVER WANT TO MISS A VEGAN RECIPE? ALWAYS WANNA HEAR ABOUT COOKBOOK GIVEAWAYS FIRST? Then please join my mailing list below to stay in the loop cuz there's lots more good stuff to come :). 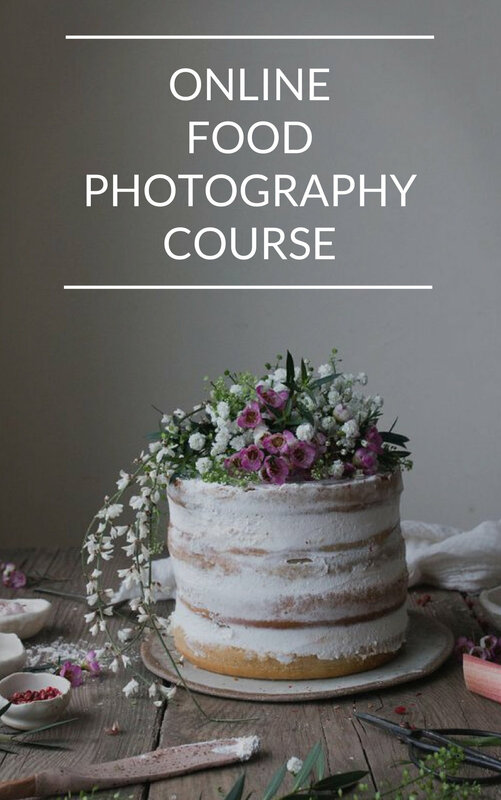 LOOKING FOR MORE FOOD PHOTOGRAPHY BACKDROP IDEAS? Then check our this blog post, this one and this one too :). Older PostVEGAN TOMATO CURRY RECIPE + A COOKBOOK GIVEAWAY!